Reports from Mayfest sources indicate that Joey Bada$$ will join Daniel Caesar, Whitney, and Young the Giant in the lineup for Dillo Day on June 2. This announcement will be a relief to many who were concerned Dillo was going to be tailored only to light-wash jean jacket and cigarette enthusiasts. This rumor, though still unofficial, has been heard by nearly every member on campus that has an extroverted friend with an inconsequential role on Mayfest. 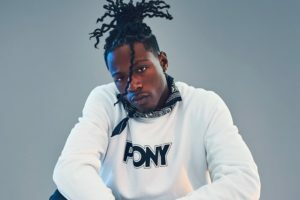 The Flipside’s sources thought it possible that Mayfest might uninvite Joey Badass just to save face over the leaks, though frankly, based on the lineup, we doubt they could afford it. Editor’s Note: The Flipside is a satirical publication, and accepts no liability for Joey Bada$$-related merchandise and/or tattoos purchased under the assumption that we are actual reporters.